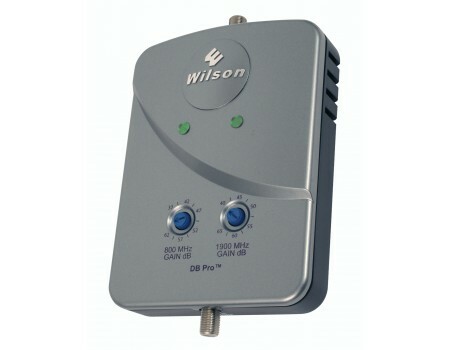 The Wilson Dual Band DB PRO Amplifier has been discontinued. It is now available in a full kit only. For a full DB Pro Kit, see Wilson 462105 Dual Band DB PRO Omni Kit for 2G & 3G and Wilson 462205 Dual Band DB PRO Yagi Kit for 2G & 3G. This product contains the amplifier only! For full signal booster kits, see below. 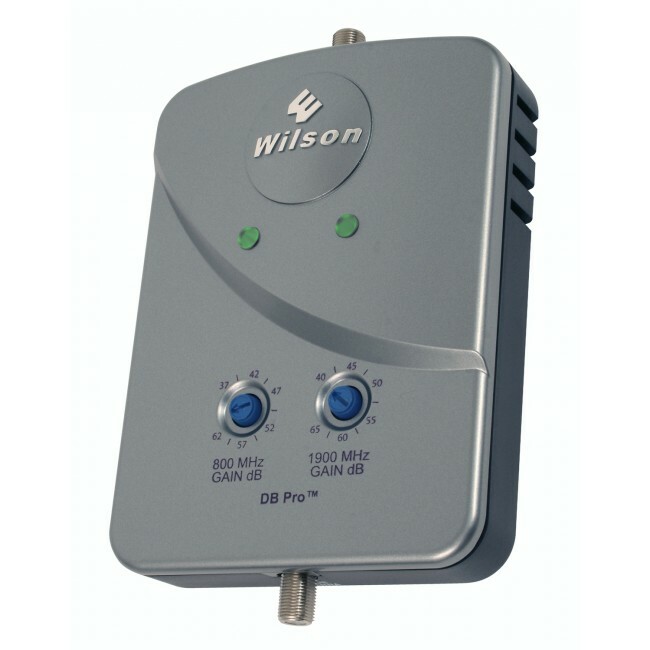 The DB Pro cellular signal booster is Wilson’s dual-band (800 &1900 MHz) wireless amplifier for use in homes, offices and other buildings. The DB Pro significantly improves voice and data performance for multiple cell phones and data cards simultaneously, and works with all major North American cell phone carriers, which include both Cellular (824-894 MHz) and PCS (1850-1990 MHz) carrier frequency bands. This 65 dB in-building booster combines high performance with ease of installation, and can be used with an outside Omni-directional gain antenna with multiple mounting options that eliminates researching cell tower locations and antenna orientation.